Shop online for 3 american-heritage model trains at discounts up to 47%. 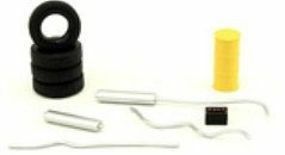 This is the O Scale Garage Accessory Set #2 (Tires, Battery, Grease Barrel, Exhaust Sections) from American Heritage Car Co. 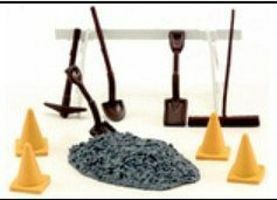 This is the O Scale Road Repair 10pc Set (Barricade, Shovels, Broom, Cones, etc) from American Heritage Car Co. 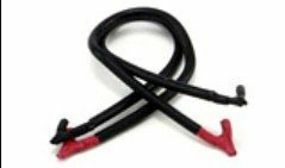 This is the O Scale Jumper Cable Set from American Heritage Car Co.